The Italian investigation board ANSV is recommending a review of certain approach charts of Italian airports. 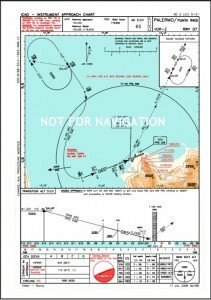 The investigation into an Airbus A319 landing accident at Palermo learned that the crew used charts that were not fully compliant with ICAO principles. On September 24, 2010, Windjet Flight 243, an Airbus A319, impacted the ground 367 meters before the runway 07 threshold and, after hitting the runway 25 localizer antenna, slid for about 850 meters before stopping on the left side of the runway. The crew were flying the so called “VOR-Z RWY 07” approach procedure which uses the TVOR and DME at Palermo. The same omissions were noted on other charts. 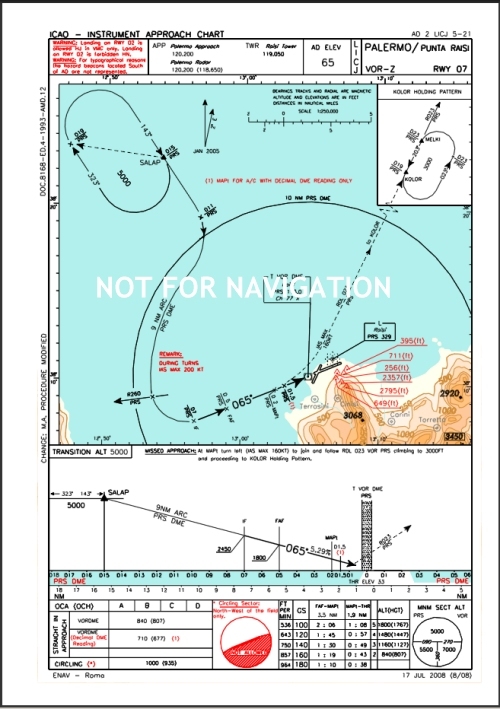 ANSV thus recommends the Italian Civil Aviation Authority (ENAC) and the Italian Air Navigation Services company ENAV to review the charts and to add any equipment requirements on the chart’s map.